There are circumstances when the driver in a single-vehicle accident may not be liable, include hitting a tree or any other object with a car, running off the road, or flipping in the middle of the road without hitting another vehicle. Since there is only one driver involved, in most cases the driver is held responsible for the accident. However, there are circumstances when the driver in a single-vehicle accident may not be liable. Negligence such as driving carelessly or too fast. The passenger has no control of the vehicle, and is generally not at fault. However, in some rare circumstances the passenger may contribute to the accident. For example, if the driver is under the influence of drugs or has been driving, and the passenger is likely aware of this fact and still decided to ride with them. This “assumption of risk” is often used by lawyers in an attempt to minimize the value of claim. Missouri is a comparative fault state. This means, a party’s recovery is reduced by his/her share of fault. In almost all cases, the passenger is not at fault, because they have no control of the car. So, comparative fault is normally not an issue in single vehicle accidents except under rare circumstances. Apart from the driver error, there may be other factors that can come into play when it comes to single car accidents. It may happen that the vehicle had some manufacturing defect or the road construction workers forgot to set up road barriers. Failure on the part of the authorities to maintain roadways can also amount to negligence. This type of negligence can result in serious injuries, extensive property damage, and in worse cases, loss of life. It is important to note that just because there is no other vehicle involved in the accident, this does not mean that there is not a potential personal injury claim. If the accident was caused by another person’s failure to act responsibly or properly, a personal injury case can arise. Scenario 1 – A driver is not paying attention to the road signs and as a result causes another car to swerve and crash in an attempt to avoid a collision. In this case, there is no collision and only the second car is damaged. Although only the second driver has crashed, it is not his or her fault. The driver of the first car can be held liable for causing the accident. Scenario 2 – There is one car driving on the road. The car runs off the road and hits a tree, not damaging any other vehicles, and the accident has not been caused by another vehicle. The driver is the one responsible for the crash. Scenario 3 – If poor road conditions caused the driver to lose control of the vehicle, the driver may file a claim against the agency in charge of maintaining the road. When claiming that poor road conditions caused a single-vehicle accident, a counter argument can be made that the driver should have paid more attention and lowered the speed. 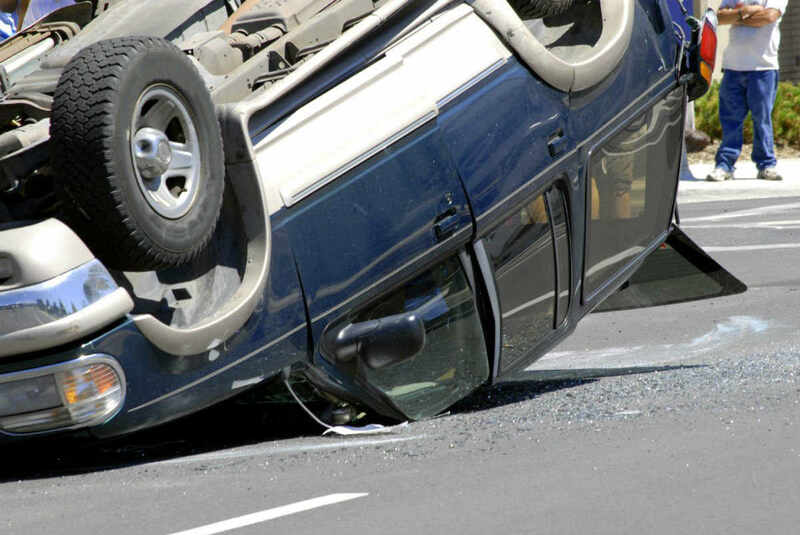 A St. Louis car crash attorney can be helpful to prove liability is this situation. A vast majority of single car accidents involve driver error. It is important that all evidence of mechanical failure is preserved. The victim should take pictures of the accident scene and surrounding area to prove that road hazards were the cause of crash. In some cases, accident reconstruction may be necessary to show the cause of accident. If you have been involved in a single-vehicle accident and you believe the accident was not your fault, gather the relevant evidence to prove your claim. Contact a St. Louis car crash attorney to give you legal advice and help you file for compensation. Call The Hoffmann Law Firm, L.L.C. at (314) 361-4242. Every time you take your eyes off the road, you put yourself at risk. The reason is that when you’re in a car, you are often traveling at high speeds. Taking just a second or two to check your phone or give in to some other type of distraction can mean the difference between safety and immense danger. Often, that danger comes in the form of driving off of the road and hitting an object. Between poor judgment, compromised motor skills, and a propensity for passing out at the wheel, drunk driving is one of the most common causes of single vehicle accidents. If you choose to engage in this behavior, there is a good chance that you’ll leave the road and hit a sign, tree, or pedestrian. Avoiding this result comes down to simply not driving while intoxicated. Whether you’re in the heart of St. Louis or slightly outside the city, there is always a chance of wildlife being in the road. This factor often causes people to make erratic moves in an attempt to save the animal in front of them. While noble, that behavior often leads to a crash. The best way to protect yourself from that result is by keeping your speed down. That way, when you see an animal in the street, you can slow down instead of making a sharp turn. The unfortunate truth about single vehicle accidents is that if you get in one, there is a good chance that you won’t have a personal injury case. Still, you may have a credible claim if some other party played a role in your accident. Some typical examples include you evading a reckless driver or you hitting a piece of road debris. No matter what the conditions surrounding your crash are, it is best to talk to a St. Louis car accident lawyer about your options.